People are talking. Talking &#8217;bout &#8220;blockchain&#8221;. Buzzwords come and go, but the term “blockchain” is one to learn, especially in transportation. Security: the blockchain is extremely difficult to hack and/or fabricate data and records. Distribution: as members join the blockchain, this essentially creates an additional copy of the blockchain — many copies means no single point of failure. The blockchain features a potential of 2^256 unique hashes, or 115792089237316195423570985008687907853269984665640564039457584007913129639936 unique hashes, however you prefer to write it. While there are a set number of hashes, it’s still highly unlikely that this many hashes will be used in our lifetimes. Each “block” utilizes the hash of the previous block when amending records which is where the inability to alter a record applies. As mentioned before, this all comes together to offer a potent combination of operations transparency, payment transparency and payout confidence. Operations Transparency: Every operational detail is captured in its respective block. From the initial assignment of a load to a carrier, to the shipper’s information, the consignee’s information and any happenings in between. We can create additional blocks for accessorials like detention, lumper fees, washouts, etc. along the way, and even a block on the back end to account for a fuel surcharge to be added to the load. The entire lifecycle of the load and any pain points for that specific load are all captured and stored in a clean, specific format. Payment Transparency: In its lowest form, consider any “IOU” that comes with a transaction. Person A tells Person B they’ll pay them $500 by tomorrow afternoon since Person B fixed Person A’s car. That transaction record of the date and amount they plan on paying is only known between Person A & B. However, in the blockchain, that record is now broadcasted to the entire blockchain and a “block” is created. Everyone else in the blockchain is now holding Person A accountable to make sure that Person B pays $500 by tomorrow. Person A doesn’t pay, they are flagged. Payout Confidence: This is a measure of how confident we are of someone to have the funds they claim to have. One of the more confident documents currently automating in this space is a simple check. When someone cashes a personal check, either it has the funds available in the account to pay out in full or it doesn’t. But how to prevent a scenario when a check bounces? With blockchain, all of Person A’s transactions up until their transaction with Person B have been recorded. 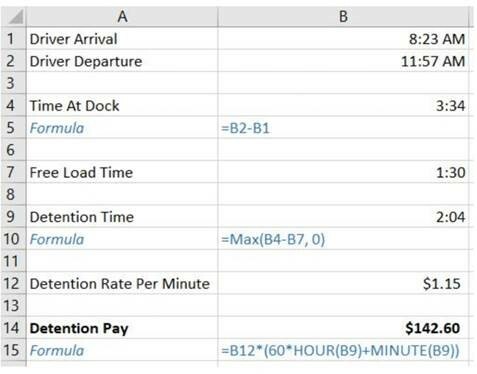 The ebb and flow of Person A’s expenses vs. revenues is being tracked and at any given time, the blockchain has a very reliable measure of the amounts Person A is capable of paying. Inserting a block into the chain that Person A owes Person B $500 may cause Person B to receive a pre-emptive notification that Person A does not have the required funds to process that transaction. Basically, the blockchain acts as thousands, potentially millions, of “auditors”. Every transaction in terms we’re all familiar with has an “audit log” that everyone can see and the records cannot be altered in any form, while each “auditor” works to verify every historical transaction. All of this is happening under the hood in fractions of a second. The blockchain works to make sure you have complete confidence that a contract or transaction will execute. On paper, the blockchain sounds incredible. However, it’s still in its infancy and there is quite a bit to work out and also requires a large investment of time and manpower on those wanting to enter into blockchain agreements to get everything set up. Many are still struggling to fully understand the blockchain and keep up with its rapid developments. Top global forecasters predict that by 2025 the blockchain is anticipated to be globalized, and 10% of the global GDP is expected to be moving as blockchain transactions. 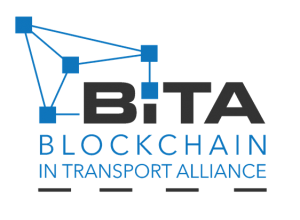 In April, Sunset joined the Blockchain in Trucking Alliance, known as BiTA. BiTA is focused on providing educational resources and open forums to those in the trucking industry interested the efficiencies offered in blockchain technology. As a new organization, they are immediately evaluating blockchain impacts on smart contracts, freight payment, asset maintenance, gray trailer pools, and transparency and custody of freight. More info regarding BiTA can be found here. John C. Sutton is a business analyst with Sunset Transportation, specializing in carrier and business operations analytics. John’s background in asset-based Truckload & Heavy Haul operations prior to his joining the 3PL industry have provided a strong foundation for multi-modal pricing, procurement, and consulting at Sunset. 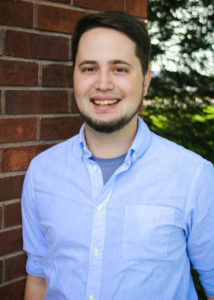 John is an active member of the Specialized Carrier & Rigging Association (SC&RA), an advocate of market intelligence, data-driven decision making, and Cardinal’s baseball.